The guest house "Pension Atelier" is situated in a calm backyard in the heart of Lörrach, just 150 m from the pedestrian precinct. The central station with also suburban train conncetions to Basel (Switzerland) is only a 6 minutes walk away. 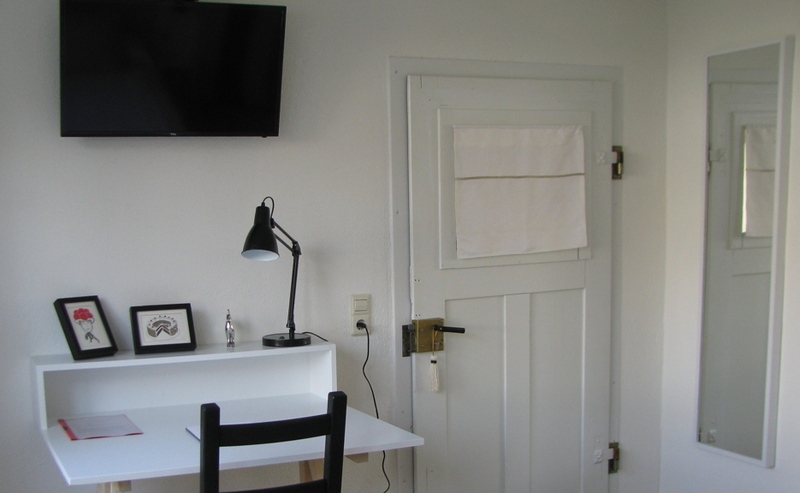 The single/double room has a separate entrance and is situated in an adjoining outbuilding. It was recently renovated throughout the style of the main house and is equipped with modern comfort.